India is one country that celebrates every little moment with full zeal. The special thing is that each month has its fair share of festivals and there is no particular month without festivals in the Indian calendar. February, the last of the cooler winter months, has an eclectic mix of traditional as well as modern festivals across the country. Whether it is a cultural festival or religious event and simply an art fair, the festivals in February are extra special and offer something for everyone. If you want to witness these festivities, plan your trip coincide with any of these amazing festivals of February and relish the splendid traditions and colors of celebrations as part of India Tour Packages. So, here we have a list of some colourful festivals that are coming up in the month of February 2019. Listed on UNESCO’s Intangible Cultural Heritage of Humanity list, India’s Kumbh Mela is regarded as the biggest religious gathering in the world and also the oldest fair in the history of mankind which is still celebrated with great fervor in the modern world. 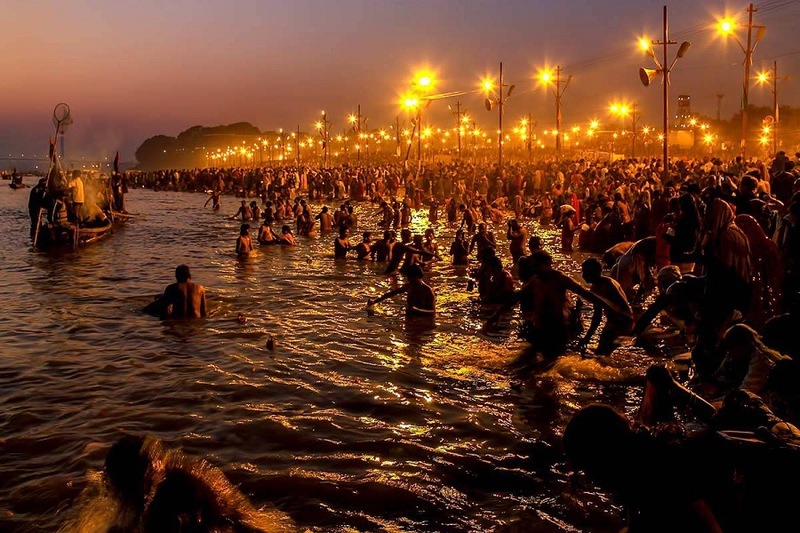 The Kumbh Mela is held once in 12 years at four places – Allahabad, Nashik, Haridwar and Ujjain while the Ardh Kumbh is held once in 6 years at two places, one being Allahabad (Prayag) and the other Haridwar. In 2019, one has the chance to be part of the Ardh Kumbh Mela that will be held in Allahabad from 15th January to 4th March. It is a mass Hindu pilgrimage where Hindus gather in large numbers and take bath in the waters of a holy river in order to get relief from their sins. The most important dates of Ardh Kumbh Mela in February are 4th February (Mauni Amavasya), 10th February (Basant Panchami) and 19th February (Maghi Poornima). Not only Hindus from India but a large number of tourists, pilgrims and foreign nationals take part in this event. 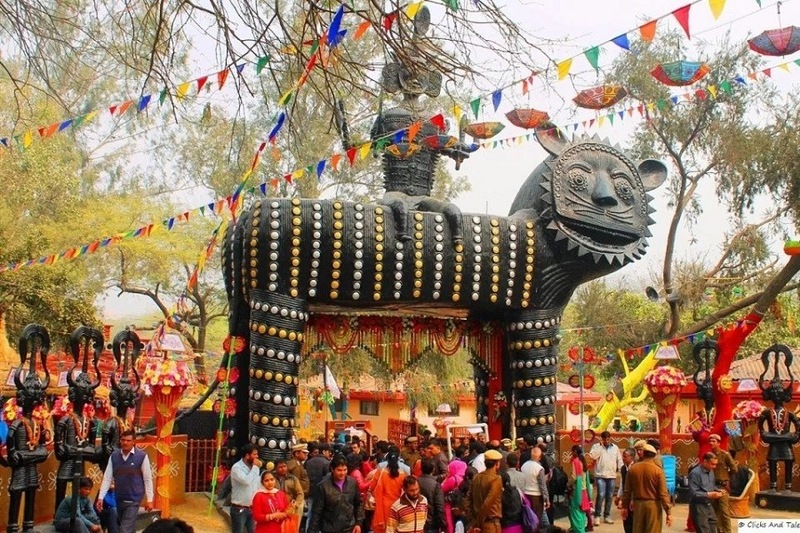 Organized by Haryana Tourism, Surajkund International Craft Mela is one of the most significant multi-cultural art festivals of India held annually at Faridabad in February. Attracting more than a million tourists from across the world every year, this two week long fair held from 2nd February 2019 is the largest craft fair in the world. Like every year, Maharashtra has been chosen to be the Theme State for 33rd Surajkund Crafts Mela and it showcases the finest hand-loom, handicrafts, cuisine and tourist potential of that state to a vast cross-section of people in an impressive manner. About 400 artists from all across India participate in the fair and exhibit their amazing works like paintings, textiles, wood stock, ivory work, pottery, terracotta, stonework, lac work and cane and grass work. Visitors can shop here for some of the world’s most treasured wares. Besides, you can also enjoy various cultural programs, lip smacking rural cuisine and many joy rides during the fest as part of Delhi Tour packages. 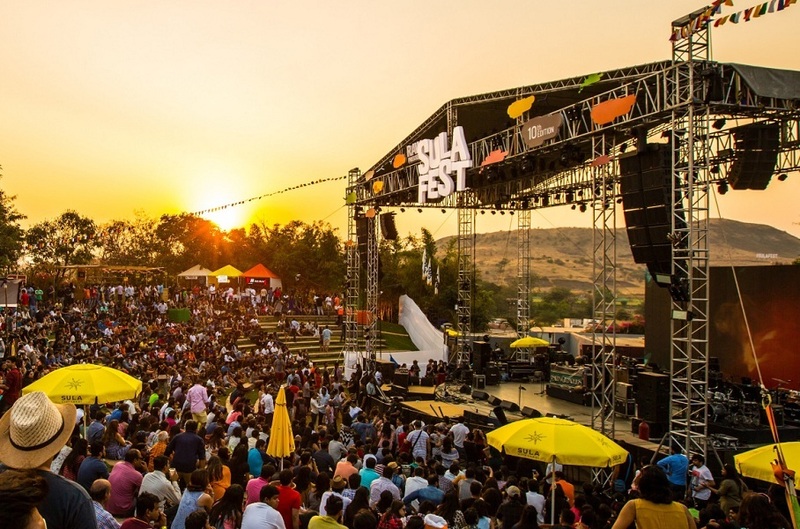 Another popular event in February in India is the SulaFest, a two-day gourmet world music festival held at Sula Vineyards in Nashik. Started in 2007, the 12th edition of SulaFest is going to be celebrated in a much bigger and better way ever from 2nd February to 3rd February 2019. Get ready for a weekend full of music, wine, food, fashion and much more at the gorgeous Sula Vineyards’ open-air amphitheater. There will be more than 100 artists performing across three stages at the event like Indian rapper Divine, Indian singer Shankar Mahadevan, Austrian band Mother’s Cake, and Sasha from UK. One can also indulge in various other activities like grape stomping, wine tasting, and camping during the fest. Apart from the fest, one can also visit Ram Kund, Sita Gufa, Kalaram Mandir and Trimbakeshwar as part of Nashik Tour Packages. Started its journey in 1999, the Kala Ghoda Arts Festival is an annual celebration of dance, music and other art forms organized by Kala Ghoda Association. 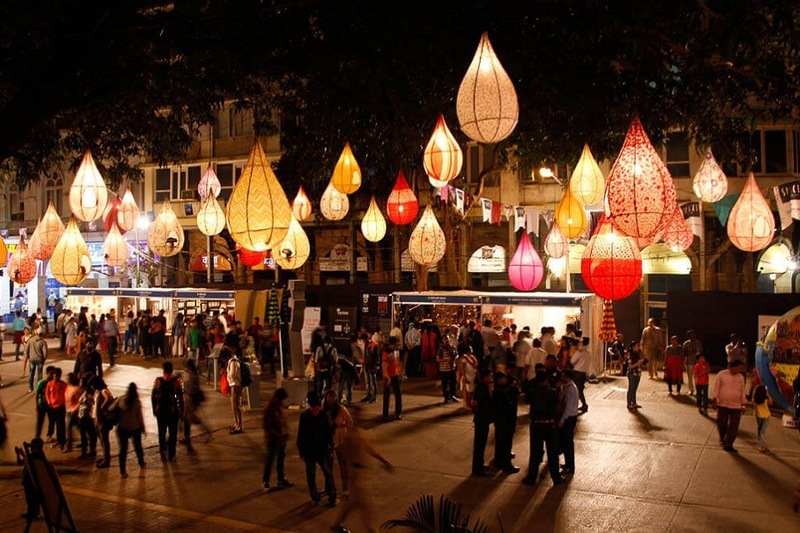 Held from the first Saturday in February till the next Sunday of the month at Kala Ghoda Fort of Mumbai, it is the largest multicultural festival of India drawing over 150,000 people from all over the world to a total of 590 events over 9 days. Starts from 2nd February 2019, this vibrant street festival boasts arts and crafts, exhibitions, workshops, heritage walks, and special events for children. 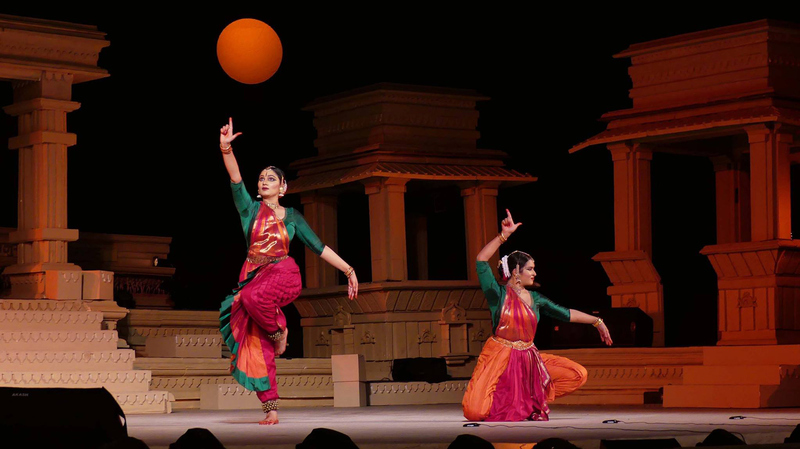 From classical to contemporary and from Indian Folk to International, there are many music and dance performances by notable artists and groups. There are also theatre and cinema programs during the festival. The culinary section is also popular as well-known chefs provide live food demonstrations on varied cuisines. Besides, visitors can also explore some Mumbai Tourist Places like Gateway of India, Vitoria Terminus, Juhu Beach, Marine Drive, Siddi Vinayak Temple and Elephanta Caves as part of Mumbai Tour in February. 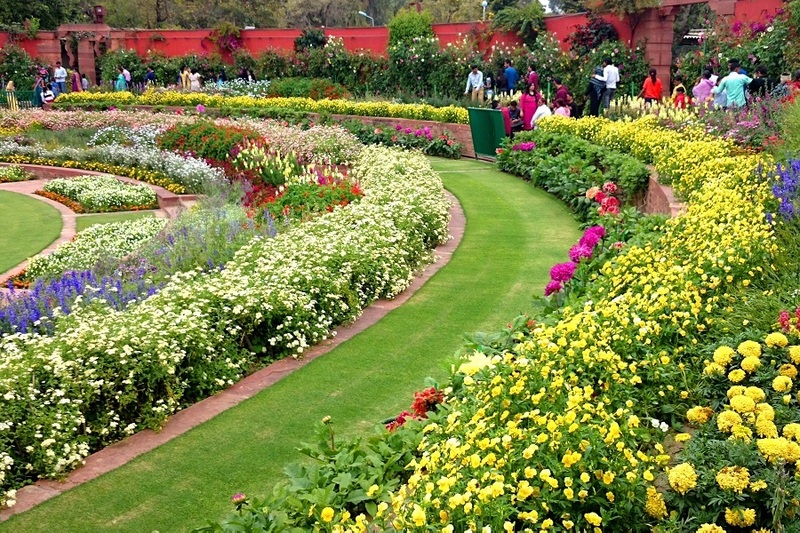 Udyanostav is a garden fest held every year at the iconic Mughal Gardens of Rashtrapati Bhavan in New Delhi. This one month-long annual festival will be held from 6th February to 10th March 2019. The festival of gardens is going to host some of the most spectacular flowers ever known to man. Spread over an area of 15 acres, the Mughal Gardens features many newly bloomed flowers, pools, canals and fountains. There are about 159 varieties of rose, over 100 types of bougainvillea and hundreds of other flowers on display during Udyanostav. Tulips are the main attraction with nearly 10,000 blooms. Nearly 300 employees of Rashtrapati Bhavan are working to maintain and develop the flowers and the whole garden. Apart from the Mughal Garden, there are six special themed gardens such as the Spiritual Garden, Herbal Garden, Bonsai Garden and Musical Garden. Make a tour to Delhi in February as part of Golden Triangle Trip to witness the colorful rows of blooms of Mughal Gardens as it is opened for visitors only for a month as part of Udyanostav Festival. Besides, one can also visit some popular Delhi Places to visit like Red Fort, Jama Masjid, Qutub Minar, Birla Mandir, and Akhardham Temple. 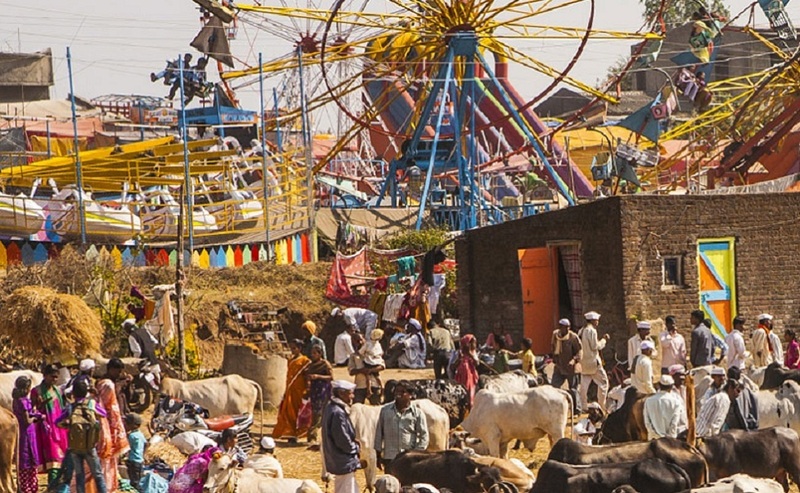 Often considered as India’s second largest cattle fair, Nagaur Fair is mainly a livestock trading fair that takes place in the rural town of Nagaur over a span of 4 days. Organized by Rajasthan Tourism Department, Naguar Fair or Ramdeoji Cattle Fair will be held from 10th February on Magh Shukla Saptmi day this year. People come here from hundreds of miles away to buy and sell their cattle. Approximately 70,000 bullocks, camels and horses are traded every year during this fair. The bullocks of Nagaur are renowned for their fitness and attract a large number of buyers. Entertainment is provided in the form of folk dances, tug of war competitions, and camel races. One can also expect to see lavishly decorated animals, a huge red chili market, and traditional handicrafts. A lot of tourists flock to this place to witness the charisma of this fair as part of their Rajasthan Tour Packages. Amid the long stretch of late-winter, Udaipur, the lake city of Rajasthan will come alive with the fourth edition of Udaipur World Music Festival 2019. Conceptualized and produced by SEHER, Udaipur World Music Festival is an annual music festival held three days from 15th February to 17th February in Udaipur featuring unparalleled live performances. Spread over six picturesque venues, the festival offers genres of music that celebrates different moods of the day. The early morning stage has meditative music while the laid back sunny afternoons are spent beside the lakes, personifying romantic music at its best, followed by the evening stage where energetic youthful music brings together people from all age groups and from all walks of life as part of Udaipur Tour Packages. 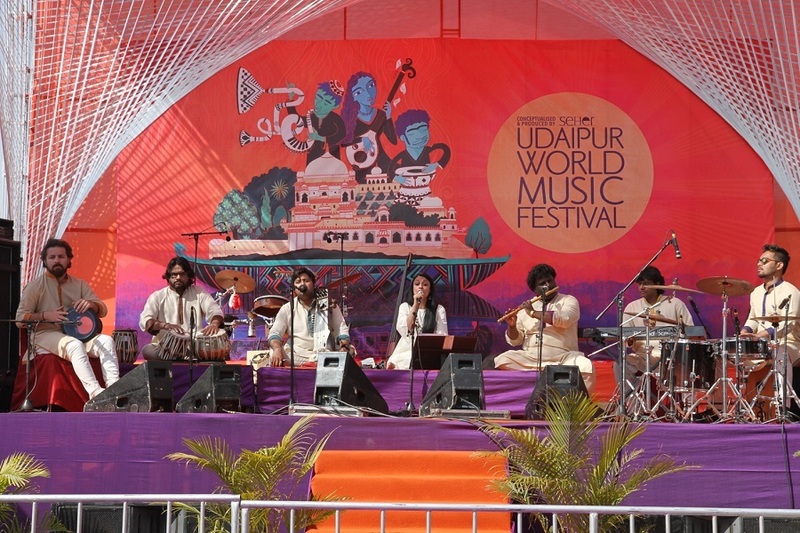 Attracting over 50,000 visitors, the three day event of Udaipur World Music festival will bring together more than 150 musicians from over 20 countries like Grammy Award winner, Dobet Gnahore, The London Community Gospel Choir, Txarango from Spain, Hot water from South Africa etc. 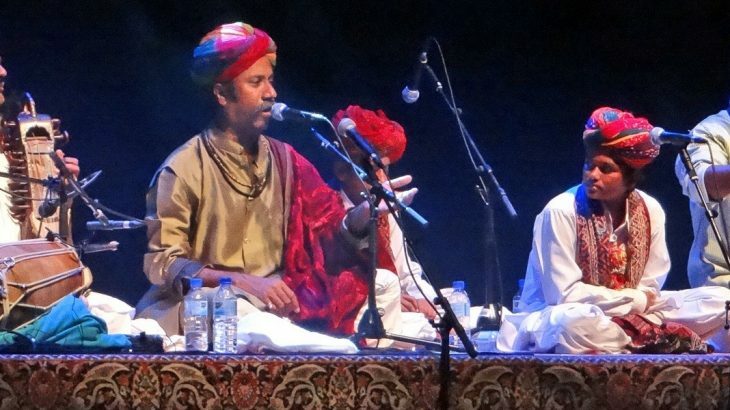 The festival also features the local Rajasthani talent and gives a valuable platform and exposure to the local artists. One can also visit some popular Tourist Places in Udaipur like City Palace, Lake Pichola, Bagore Ki Haveli, Jagdish Temple, Monsoon Palace, Fateh Sagar Lake etc. 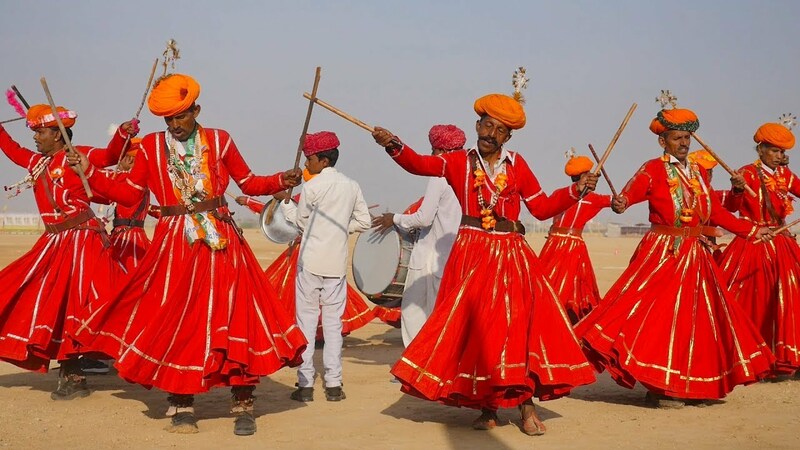 The historical city of Jaisalmer is all set to organize the colourful and most attractive annual Desert Festival from 17th February to 19th February, 2019 at Sam Sand Dunes. Organized by the Rajasthan Tourism, this is a 3-day event showcasing the rich cultural heritage of Rajasthan. The festival begins with a ceremonial procession, locally known as Shobha Yatra where local Rajputs and other clans dress in their traditional attire. 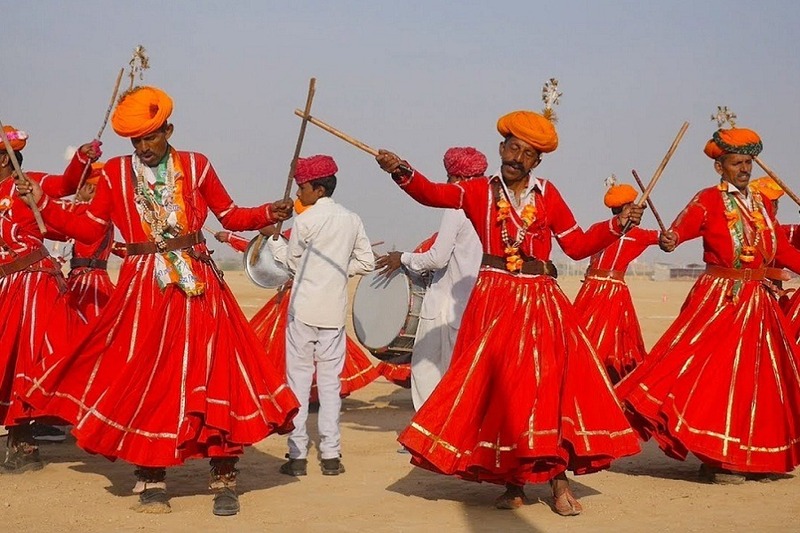 Thousands of visitors from across the globe make the desert trek to enjoy the various events that take place during the festival as part of Jaisalmer Tour Packages. This extravaganza includes of a lot of events such as puppet shows, camel races and polo matches, turban tying competitions, competitions for the finest facial hair, acrobats, puppeteers, and jugglers. A trip to the Sam Sand Dunes marks the grand finale, where you will enjoy camel rides and brilliant performance by the folk artist under the full moon against the backdrop of picturesque dunes. Besides, one can also visit some Jaisalmer Tourist Places such as Jaisalmer Fort, Havelies, Kuldhara, Lodurva etc. 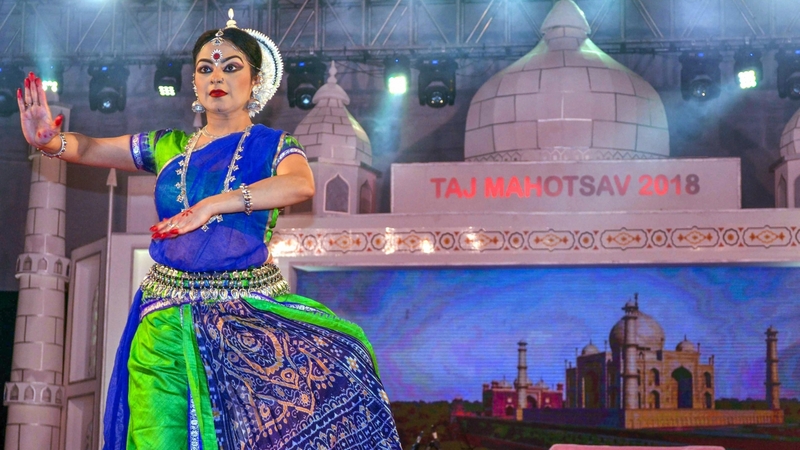 Organized by Uttar Pradesh Tourism since 1992, Taj Mahostsav is one of the most awaited festivals of India held at Shilpagram in Agra from 18th February to 27th February 2019. The 10 day annual carnival reveals the rich cultural heritage of India and displays the finest specimens of Indian craftsmanship against the majestic backdrop of the Mughal architecture, Taj Mahal, among the top places to visit in Agra. The festival features some wonderful performances by well-known artists, musicians, and folk dancers from different regions of India. The Taj Festival in Agra gives visitors a chance to purchase some marvelous art pieces like wood carvings of Saharanpur, brass and other metal ware of Moradabad, handmade carpets of Badohi, the pottery of Khurja, chickan-work of Lucknow, the silk of Banaras and much more. A Food festival is also organized at the time of the Taj Mahotsav where you can taste some of the most exotic cuisines from different parts of the country during your Agra Tour. Also known as Tibetan New Year, Losar is one of the most important religious festivals of India as a considerable amount of Tibetan population resides in various parts of the country. It marks the beginning of the Buddhist New Year, which usually falls in the month of January or February. Losar is celebrated by Tantric Buddhists all over India for 15 days but the first 3 days are the most important ones. The celebrations that start from 5th February 2019 are an amalgamation of ancient rituals, staged dance dramas, the dance of the Ibex deer and lots of music, dance and revelry for the people. 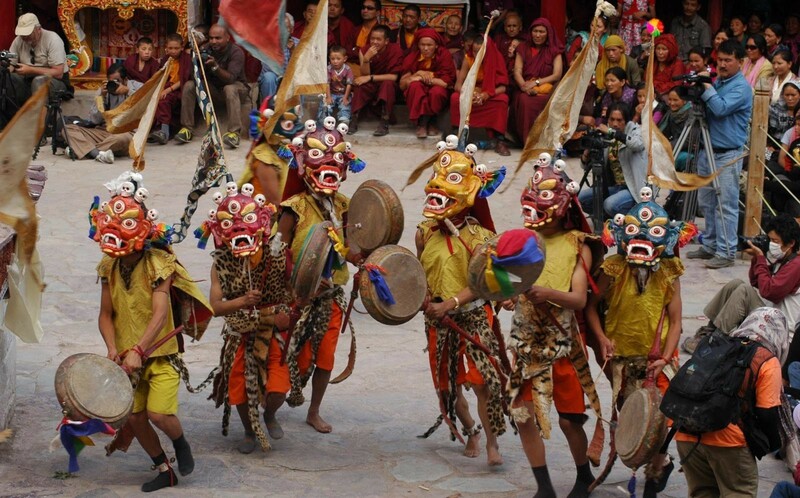 One great attraction during the festival is the masked dance which looks awe inspiring and splendid at the same time. Ladakh, Sikkim, Arunachal Pradesh and some parts of Himachal Pradesh are the ideal places to witness the Losar celebrations as part of India Tour. The Mahindra Blues Festival, a music extravaganza is all set to enthrall audiences with its high energy and vibe in the maximum city of Mumbai from 9th February 2019. 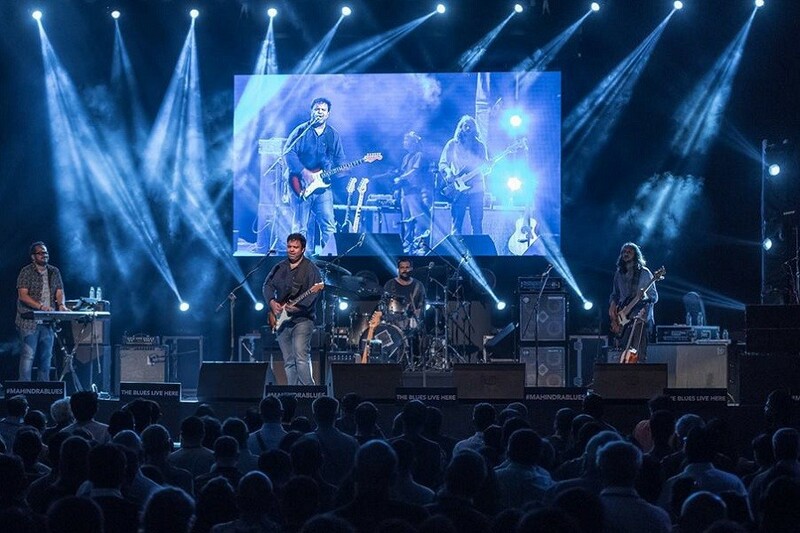 This two day musical event, held at the iconic Mehboob Studio in Mumbai, is Asia’s largest and finest blues festival. Since its inception in 2011, the festival has brought international Blues legends like Beth Hart, Charlie Musselwhite, Sugarray Rayford, Brandon Santini and Arinjoy Trio to Mumbai. They have come together to put together a high octane yet soulful and exquisite evening for Mumbai audiences. Popularly called as MBF, it has become a great platform for Indian Blues bands to perform along with the best Blues Bands in the world. This year, MBF was nominated for the ‘Keeping the Blues Alive’ award by the Blues Foundation of America. Plan your Maharashtra Trip during February and experience this festival. 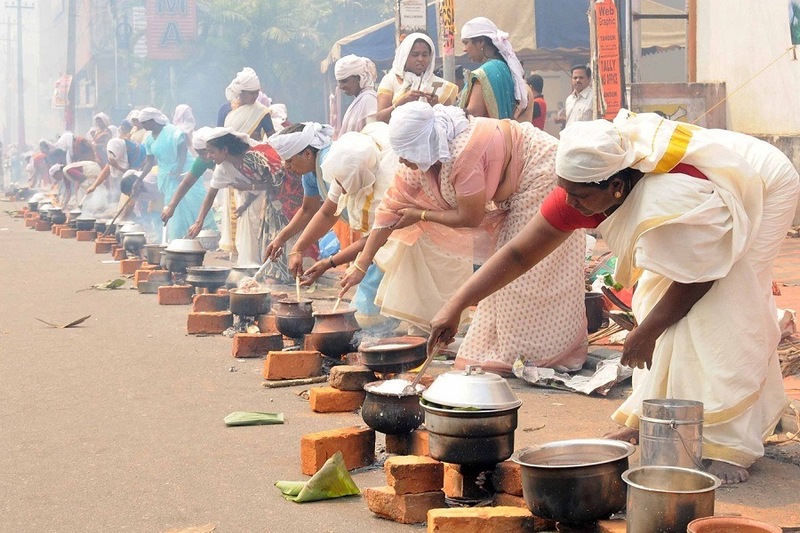 Attukal Pongala is the most important annual festival of Attukal Bhagavathy Temple, Trivandrum. Held on 20th February 2019, this is the part of the ten-day- long celebration of Bhagavathy Temple that commences in the Malayalam month of Makaram-Kumbham on the Karthika star. Observed strictly by the womenfolk, the Pongala ceremony on the full moon day is the largest congregation of women in the world. 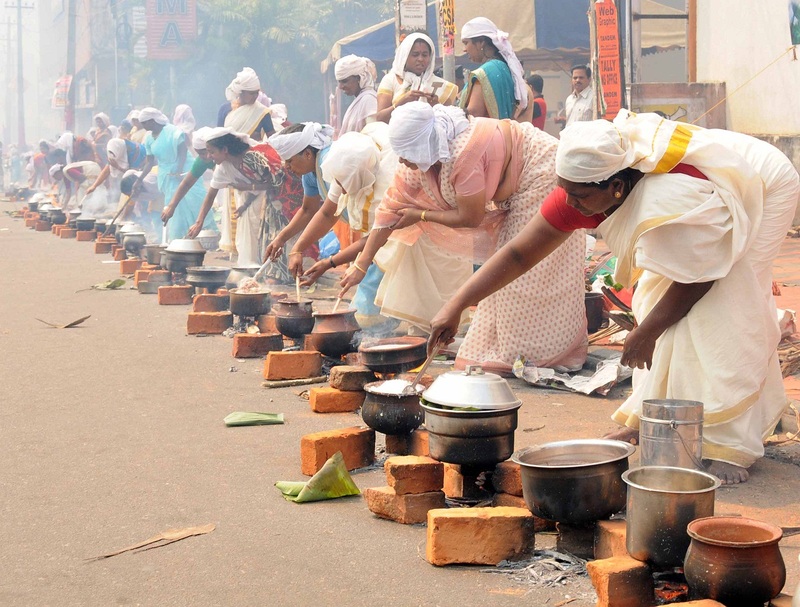 Amidst much fun and fervor the women cook the rice porridge with jaggery and coconut and offer it to the Goddess. The festival earned a place in the Guinness Book of World Records in 1997, when 1.5 million women attended it. There is also regular conduct of Bhajans, musical concerts, ballets depicting folk and temple arts etc. in the temple premises during the festival. Trivandrum can be visited as a day trip as part of South India Tour Packages. 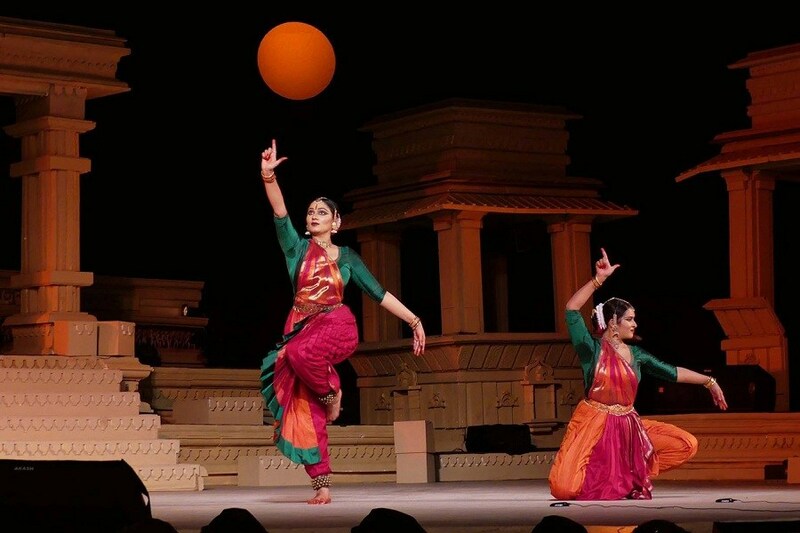 Organised by the Madhya Pradesh Kala Parishad, Khajuraho Dance Festival is a week-long festival of classical dances held annually against the spectacular backdrop of the magnificently lit Khajuraho Temples of Madhya Pradesh. The festival is celebrated at a time when the hardness of winter begins to fade and the king of all seasons, spring, takes over. This year, the festival is going to organize from 20th February to 26th February. 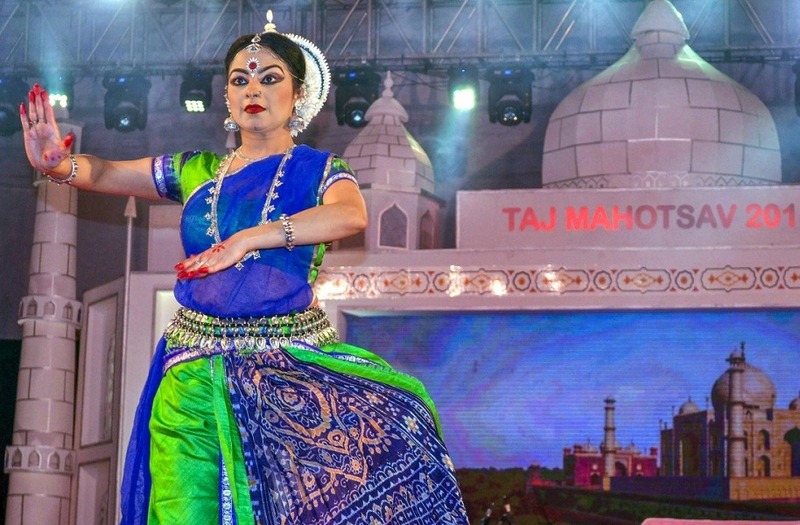 This cultural event rightly showcases the opulence of the different classical dance forms of the country like Bharatanatyam, Kathak, Kuchipudi, Odissi, Kathakali and Manipuri. The event comes with presentations of the most famous dancers in their area along with young and talented new artists. 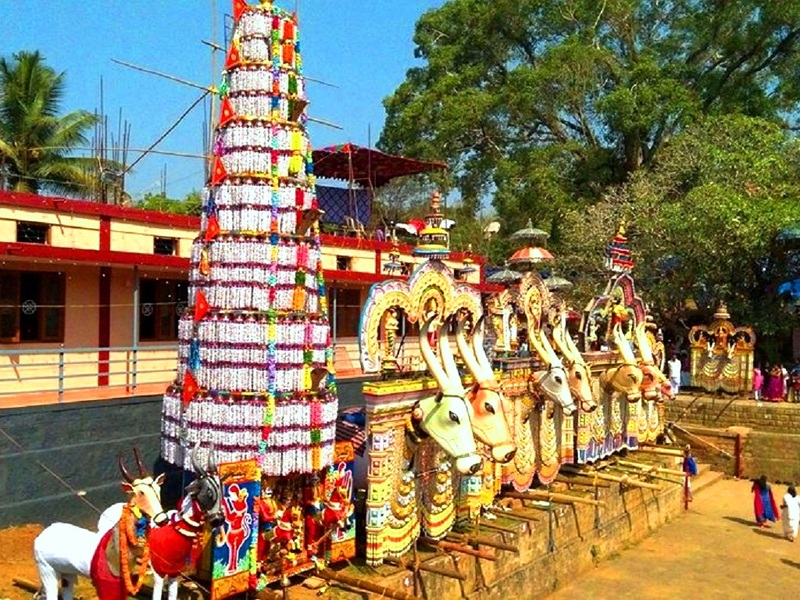 Pariyanampetta Pooram festival is an annual cultural and spiritual event celebrated at the famous Pariyanampetta Bhagvathy temple in Palakkad district of Kerala. This 7 days festival is celebrated on the Kumbam month according to the Malayalam calendar. This year it is celebrated from 13th February to 19th February. 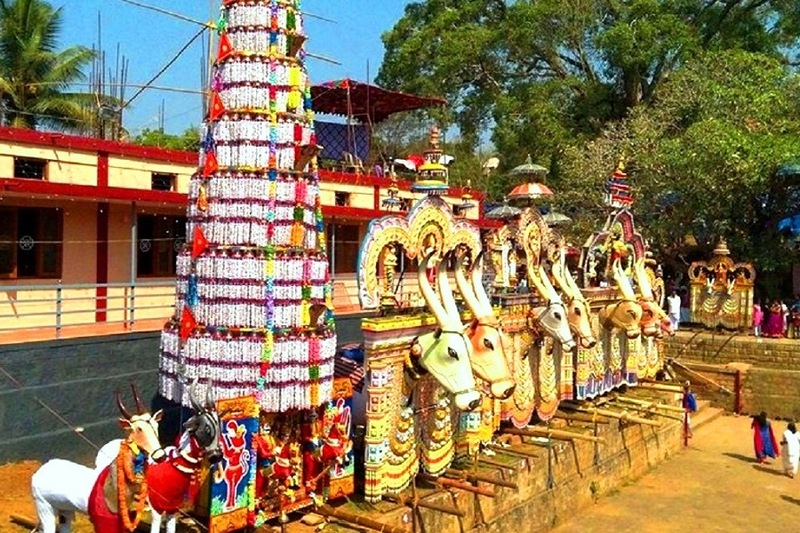 During the festival, several traditional folk art forms and classical art forms are performed every day, which include Poothan , Thira, Kathakali, Tholpavakoothu, Chakyar koothu, Kuthiravela (horse effigy), Kalavela (bull effigy),etc. A grand procession with 21 caparisoned elephants is held on the concluding day with traditional percussion orchestra and art forms. A vibrant ritual called Kalamezhuthupattu, in which the image of the Goddess is drawn on the floor with color powders, followed by ritual music, is a very spectacular event. Plan your Kerala Trip in February and enjoy the spectacular folk art forms and classical art forms of Kerala held every evening in the temple premises. Konark Dance Festival is an annual event held in the month of February at Konark with the backdrop of historical Sun Temple in Odisha. This 5 days event is held from 19th February to 23rd February this year. 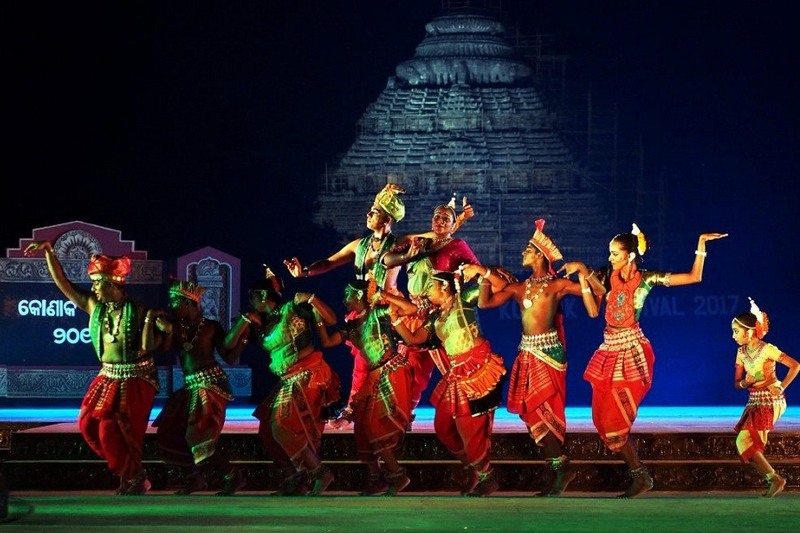 The Konark Dance Festival showcases the best of the traditional and classical dance forms of India, besides offering interesting insights into the rich cultural and dance heritage of India. During this 5 day festival, talented dancers and their troupes descend on Konark to display their skill and mastery over age-old dance forms ranging from the classic Bharatanatyam, the graceful Odissi and Manipuri, to the expressive Kathakali and Sattriya dance styles amongst others. As the sun sets, the open air auditorium gains life in the form of musical beats and rhythmic movements under the star lit sky during the festival. A jugalbandi of music will also be held daily. A crafts mela is also put up during the Konark Dance festival. Serving a wide array of mouthwatering cuisines and a variety of handicrafts, this mela adds more fun to the festival thus making it a perfect venue for a family get together on a holiday or a blissful experience to the tourists. Usually, Konark can be visited as a day trip as part of Puri Tour Packages. All, Festivals February Festivals, Festivals in February in India, Indian Festivals in February, Popular Indian Festivals. permalink.